Cedrus joined our Mission to help provide access to “Clean Water for All by 2030”. This Mission was initiated by the United Nations. A big thank you to Cedrus’s team and customers for joining this extremely important mission on 07 March 2018. 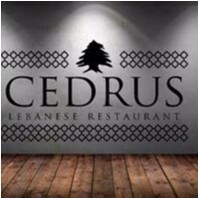 Cedrus Lebanese Restaurant is proud to serve you the best Lebanese cuisine in Sydney. At Cedrus, dining is more than just food; it is about the experience and tradition; it is about family and friends, hospitality and abundance. To embrace our culture, our menu is designed with a variety of authentic Lebanese dishes. Meals can be a long leisurely indulgence of salads, followed by hot and cold mezza; and desirable mains. The ideal way to experience Lebanese food is to order a few select dishes to share amongst each other or choose one of our banquets, designed to meet every palate. Food preparation & cookery is critical to the Cedrus way of life. Fresh food produce is central to our cooking philosophy. From the market, selecting the best quality ingredients; to the kitchen, preparing and cooking the dishes our customers rave about. We respect our food; this is how we make sure you will have the most enjoyable Lebanese cuisine in Sydney.